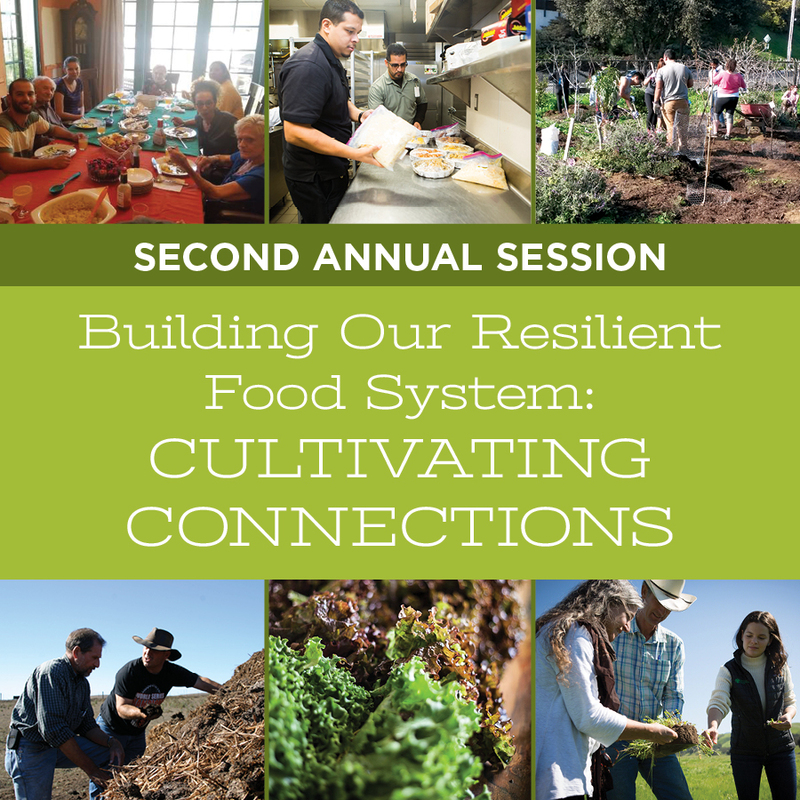 As part of a Santa Barbara County Food Action Plan project addressing food insecurity on our college campuses, the University of California Santa Barbara, Santa Barbara City College, Allan Hancock College, and Westmont College, are hosting a guest lecture series across the campuses. 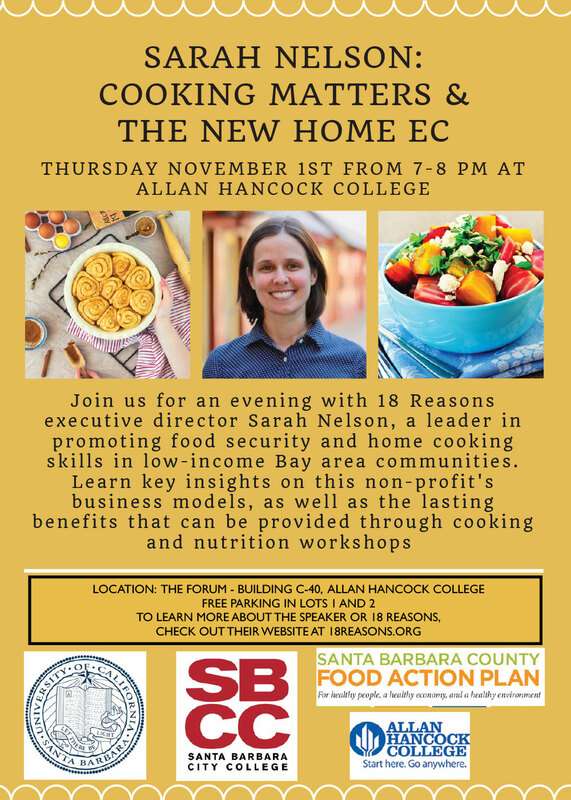 Join us on Thursday, November 1st from 7:00 – 8:00 PM at Allan Hancock College, for an evening with 18 Reason executive director Sarah Nelson, a leader in promoting food security and home cooking skills in low-income Bay area communities. Learn more about the speaker or 18 Reasons at 18reasons.org.